Mike Hodis of Rising Sun Jeans hosted a post Inspiration party Sunday with all the trimmings. Rising Sun hand crafts denim and work wear on antique sewing machines using traditional techniques and the highest quality materials. Mike’s passion for quality is only rivaled by his knowledge and skill. 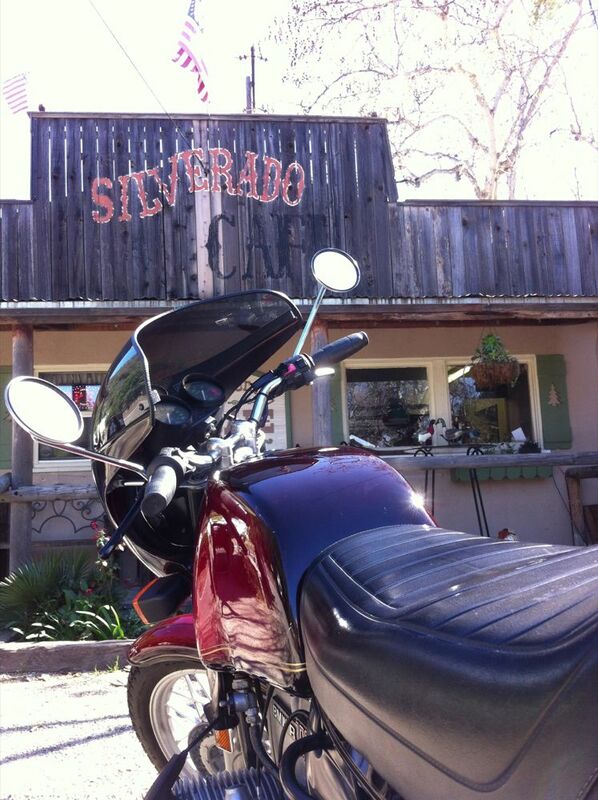 Took the R100S out Santiago Canyon to try out the new throttle cables…they work, and had lunch at the Silverado Cafe. This place is pretty good. It reminds me of the cafes found in small towns far away from California. The waitress was real nice, the food was good, and lunch was less than $10 including coffee! I’m going to try breakfast next time. 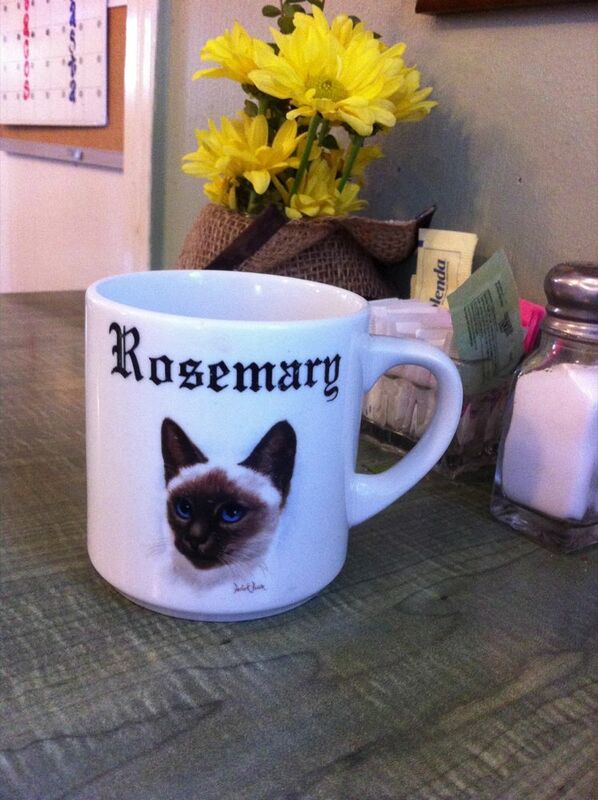 I was honored to be allowed to drink from Rosemary’s pretty cat mug. 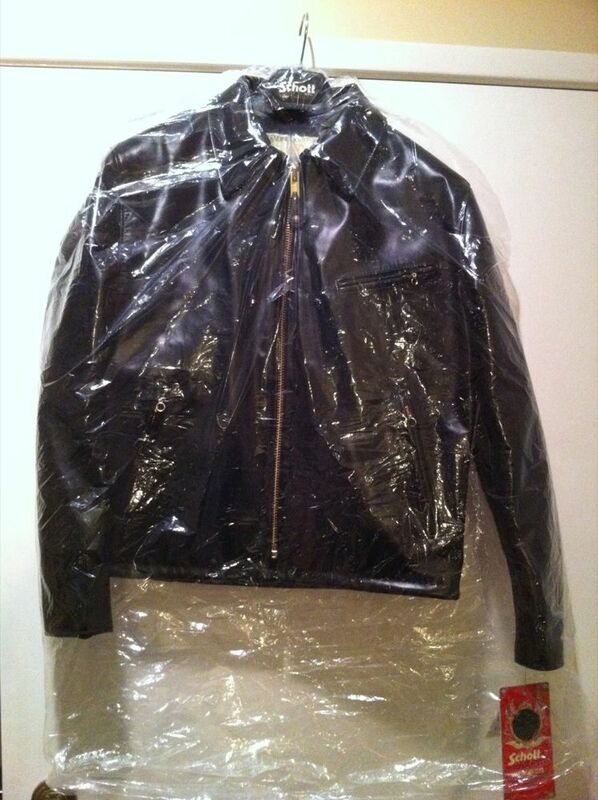 We got more Schott 141 Cafes and 689H Retro Horsehides. We’re still waiting for Women’s One Stars. 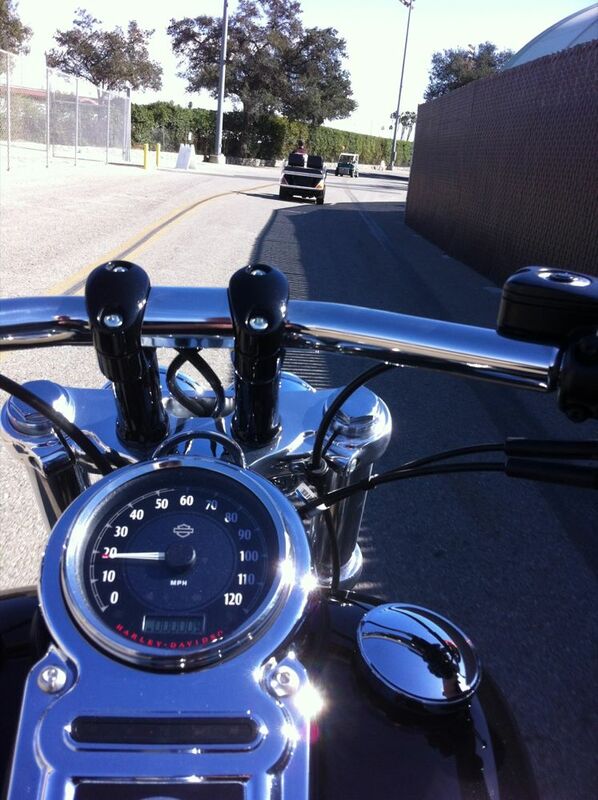 The NHRA Winter Nationals were this week and I hung around the Harley-Davidson exhibit Thursday through Sunday. The weather was perfect and they had a real good turnout. 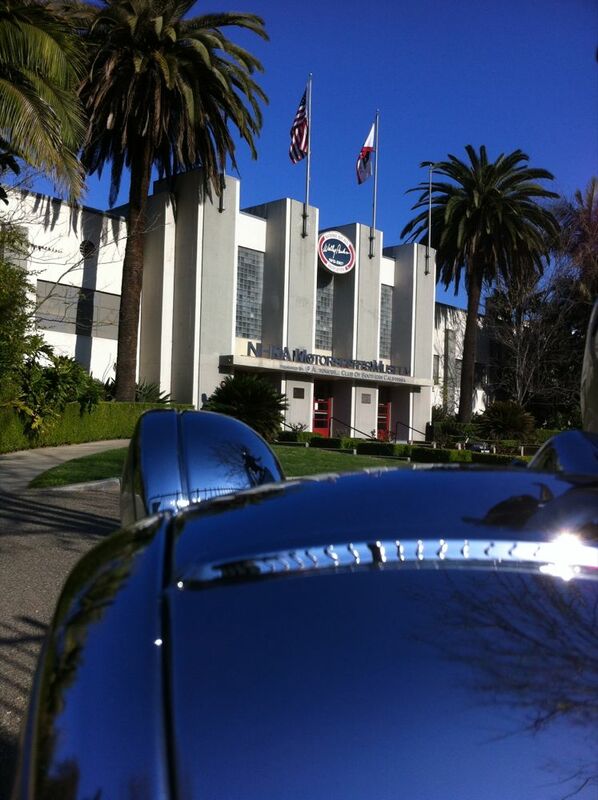 The Pomona Fairplex is a great venue and the Wally Parks Museum is something every Drag Racing fan should see if in So-Cal. Races over, time to go home for dinner. Resting Monday and heading for Vegas to see Schott’s 100th Anniversary line up and get a closer look at Filson’s stuff. One more thing. 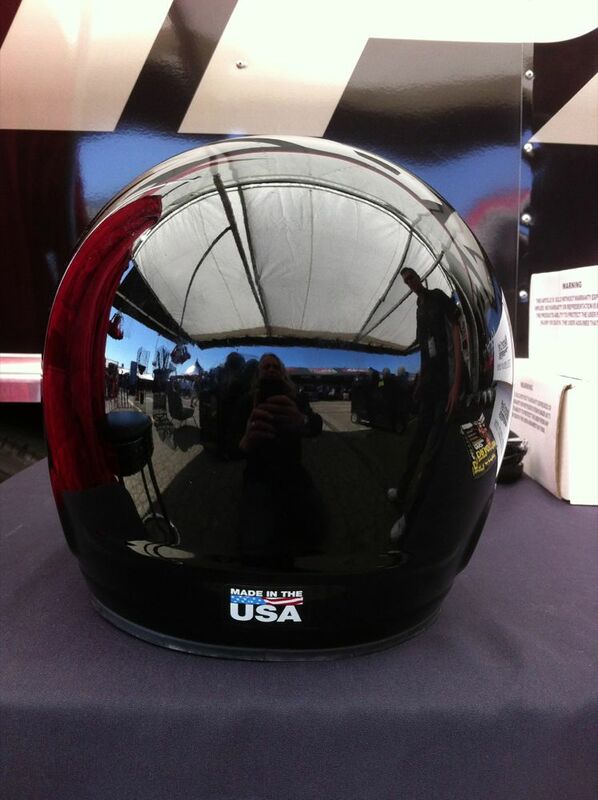 Any interest out there in a Made in USA, DOT/Snell 2010, Full Face helmet, priced between $450 and $500? They’re a Kevlar Composite shell with a traditional shape, simple to use aluminum hardware, and a real comfortable liner. I can’t give up any more info at this time but I’d really appreciate your feedback. 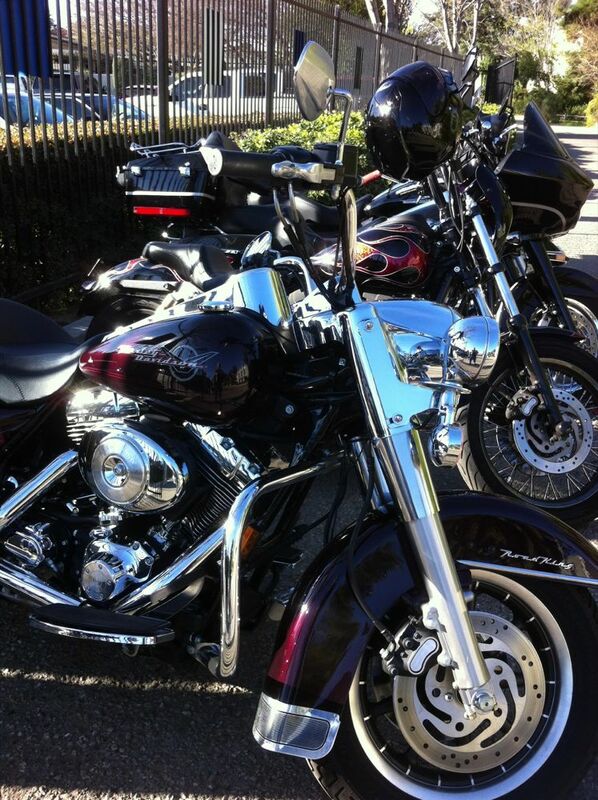 Big Question: Have you ever paid $450 or more for a helmet before? Please feel free to add any comments you wish to share. You can comment to this post or send an email to 66@66MotorPalace.com Thanks for your input! Actually, if it was something I really wanted I would pay the price. Maybe once. Arai full face helmet with UK flag graphics. After I bought it, I realized I didn't like full face helmets and then moved to California where the weather is never really that cold to need it. Worn twice. Yes. Once. Prolly not again. It was an Rx-7 arai. Good helmet. No, and probably never will!